2Why should I learn Wicket? Remember that system properties overwrite other settings, so they are ideal to ensure that on production machine the running mode will be always set to DEPLOYMENT. In order to follow the instructions of this paragraph you must have Maven installed on your system. The installation of Maven is out of the scope of this guide but you can easily find an extensive documentation about it on Internet. Another requirement is a good Internet connection (a flat ADSL is enough) because Maven needs to connect to its central repository to download the required dependencies. If we need to use more Wicket modules or additional libraries, we can add the appropriate XML fragments here. Maven projects can be easily imported into the most popular Java IDEs. However, the procedure needed to do this differs from IDE to IDE. 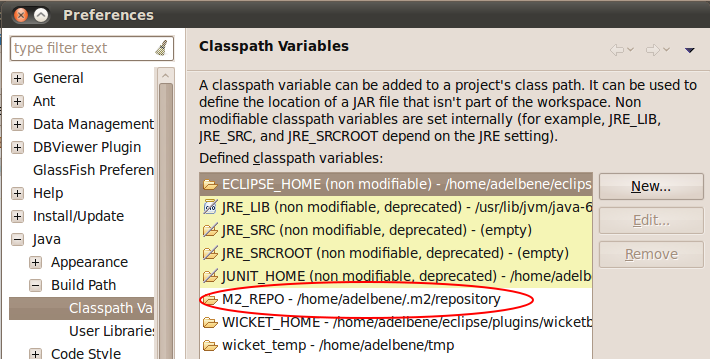 In this paragraph we can find the instructions to import Maven projects into three of the most popular IDEs among Java developers : NetBeans, JetBrains IDEA and Eclipse. Once the project has been imported into Eclipse, we are free to use our favourite plug-ins to run it or debug it (like for example "run-jetty-run": http://code.google.com/p/run-jetty-run/ ). Please note the option “Copy projects into workspace” in the previous illustration. If we select it, the original project generated with Maven won't be affected by the changes made inside Eclipse because we will work on a copy of it under the current workspace. If we modify the pom.xml file (for example adding further dependencies) we must regenerate project's artifacts and refresh the project (F5 key) to reflect changes into Eclipse. Speeding up development with plugins. Now that we have our project loaded into our IDE we could start coding our components directly by hand. 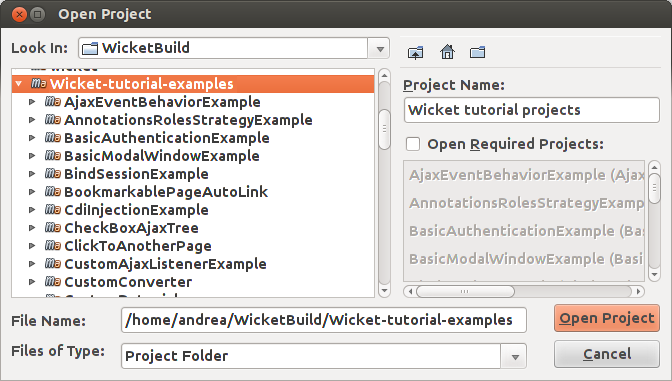 However it would be a shame to not leverage the free and good Wicket plugins available for our IDE. The following is a brief overview of the most widely used plugins for each of the three main IDEs considered so far. 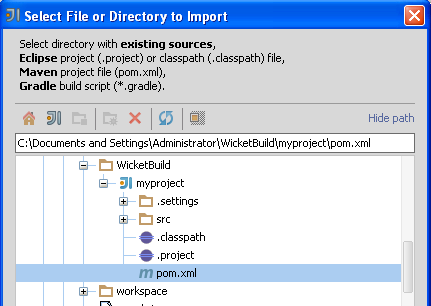 NetBeans NetBeans offers Wicket support thought 'NetBeans Plugin for Wicket' hosted at http://java.net/projects/nbwicketsupport/ . This plugin is released under CDDL-1.0 license. 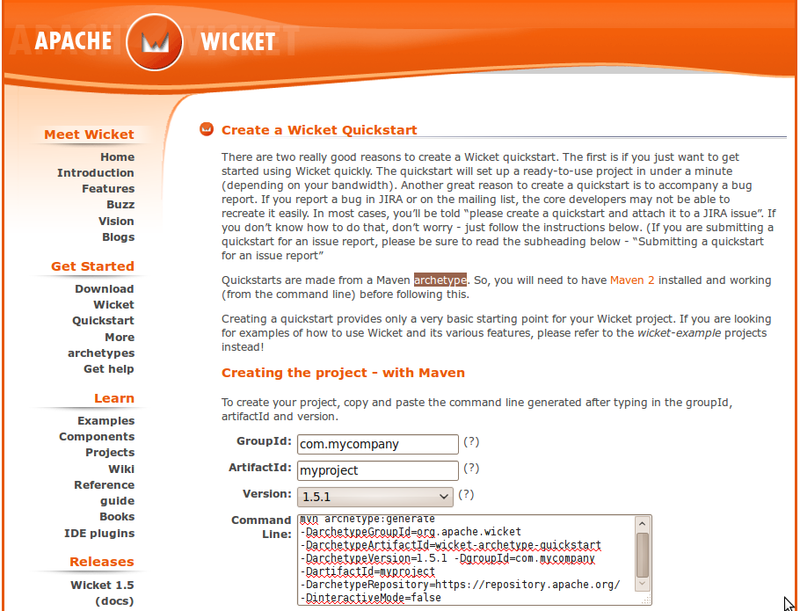 You can find a nice introduction guide to this plugin at http://netbeans.org/kb/docs/web/quickstart-webapps-wicket.html . Intellj IDEA For JetBrain IDEA we can use WicketForge plugin, hosted at Google Code http://code.google.com/p/wicketforge/ . The plugin is released under ASF 2.0 license. 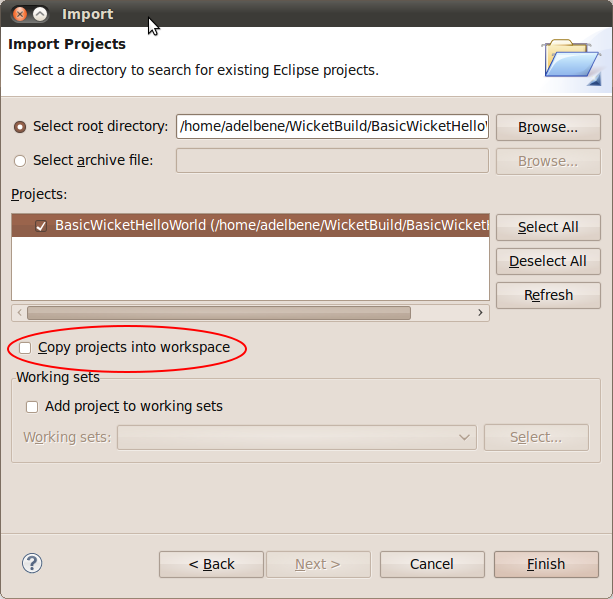 Eclipse With Eclipse we can install one of the plugins that supports Wicket. As of the writing of this document, the most popular is probably Qwickie, available in the Eclipse Marketplace and hosted on Google Code at http://code.google.com/p/qwickie/ . QWickie is released under ASF 2.0 license.